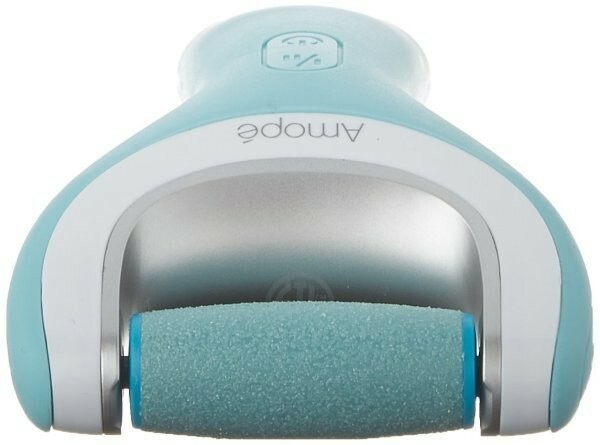 Use the Amope Pedi Perfect Wet & Dry Electronic Rechargeable Foot File in the shower, bath or during your usual footcare routine to buff and file your feet. 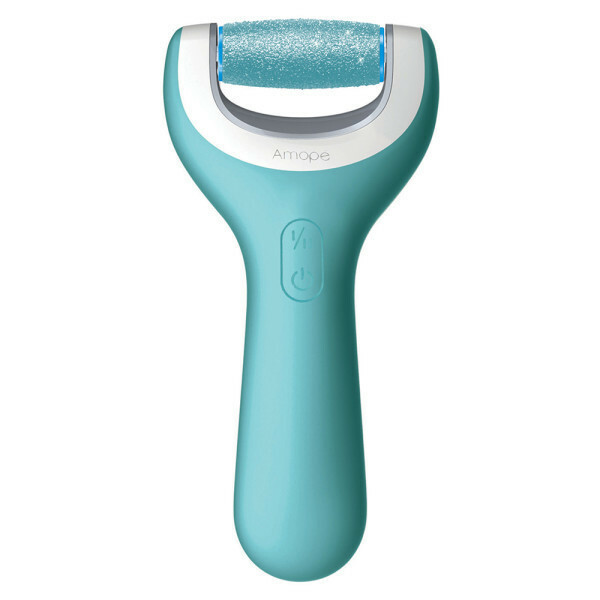 The Amope Pedi Perfect Wet & Dry Electronic Foot File is a waterproof device that allows you to tackle dry feet, even in the shower or while taking a bath. Gently roll the specially designed roller head over the hard skin on your feet to help file and rejuvenate your feet. Choose between two speeds with a dual speed system that gives you the option to use a speed setting that suits your needs. So, whether you want to give your feet a quick pedicure to make skin feel smooth or an in-depth session to remove hard skin, this Pedi Perfect Electronic Foot File is a perfect addition to your footcare routine. This Amope Pedi Perfect Electronic Foot File is also rechargeable, meaning that you can simply recharge your foot file rather than changing batteries. Use the docking station, plug into the outlet for a minimum of 3 hours, and you will be able to use your new favorite pedicure tool with full charge. You can continually file your feet which is more than enough time to smooth out your hard skin. Unscrew the base of the unit in an anti-clockwise direction and remove. Remove and dispose of both the red insulator tab and the plastic ring. Replace the base of the unit and screw in a clockwise direction until secure. Retain the outer packaging for future reference. See inside for full instructions. For disposal instructions, please see the bottom of the pack. Use only with Amope Pedi Perfect Wet & Dry Rechargeable Foot File supply unit. This foot file is not suitable for diabetics and those with poor blood circulation. See inside for full precautions. Disposing of Your Unit: Please do not dispose of the appliance in normal household waste. This product contains a lithium ion battery that cannot be replaced. Do not incinerate or place into a fire. Electrical waste - do not dispose of in the trash. I purchased this after using the battery operated one that was a waste of time and money. This is anyone’s dream for perfectly soft, supple healthy looking feet. I don’t know how anyone cannot use this for beautiful feet. Your shoes will feel better because your feet look beautiful!!! The only draw back is mine doesn’t sit on the charging cradle as it should so I’ve had to set something heavy on it to stay charging. Also it doesn’t hold the charge long at all!! Hard to comprehend how good this thing really is! I finally made the plunge to try this. I get pedicures every 2 weeks and live on flip flops all the time. My feet get quick rough within the 2 weeks. Prior to buying this, I bought a razor to shave off hard skin, which proved super dangerous and did not work as good as this product. I find myself using this at least 2 or 3 days a week and my heel skin is staying significantly softer. Love this and would recommend for anyone! Feet are so smooth now! I've been going back and forth on getting this and finally received it as a birthday present. Man am I glad I got this! I had just bought satin sheets and because my feet were so rough I had to wear socks cuz I hated the feeling my bare feet "made" against the sheets. I also had a good size callus on one of my heels. After just the first use the callus was pretty much gone and I was able to go barefoot in my satin sheets. It's nice that you can use it either in the shower or just a quick touch-up on dry feet. I have spent so much money on tons of different products to help make my feet softer and this is the only thing that finally worked! It is pretty expensive but with a good sale and the $10 off coupon it was very worth it! I had been using a pumice stone but that didn't even do very much. Might only I guess I would say complaint is the fact that I went on the amope website and emailed customer service about a small problem I thought I had and they didn't answer me. It's a 'big difference' product! I used it first time before going to bed one night and actually couldn't get to sleep because I enjoyed playing footsies with myself since they were so soft. Amazing product. Why am I now just discovering this! I can’t say enough about how great this gadget is for your feet. I’ve tried everything and now I will only eve. pedicures that do little to remove calloused feet. Love, love love! Best thing that ever happened to my feet! I love this pedi file. It's really easy to use and feels like I'm having a massage. Peels away my dry skin in just a few minutes. I like using them wet although sometimes I use them dry too!